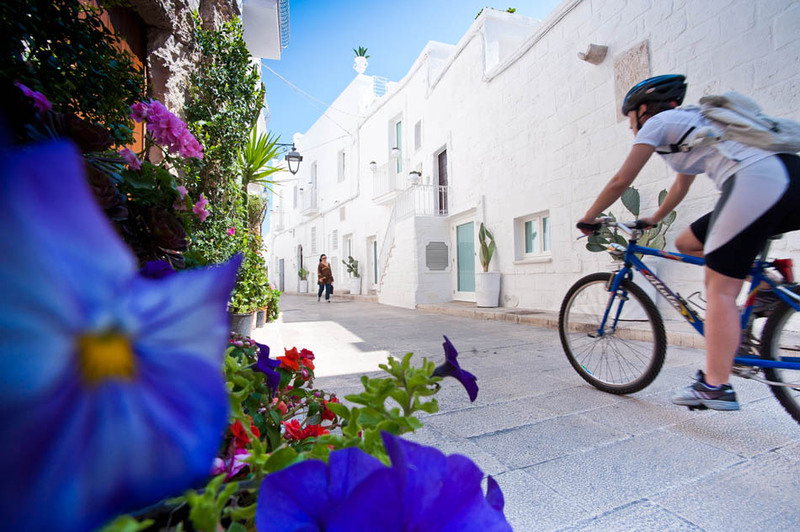 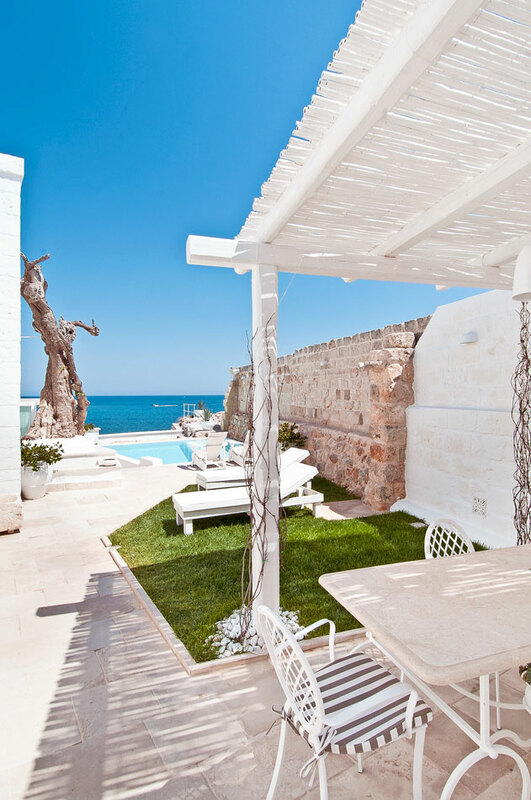 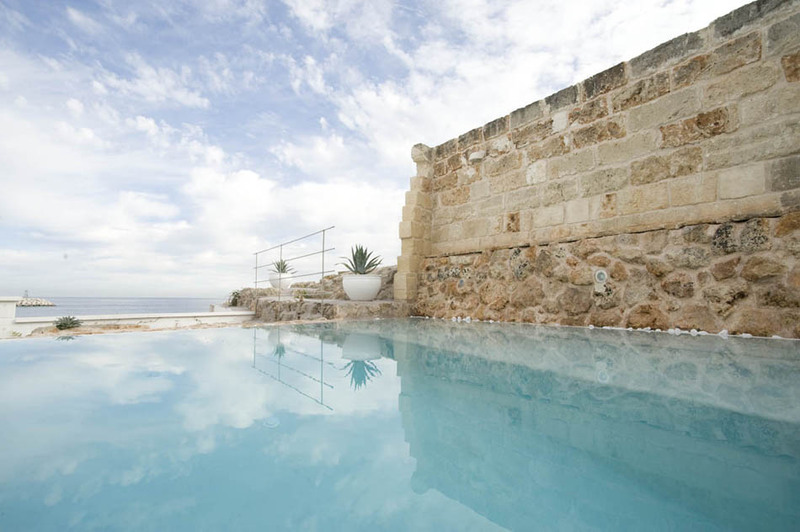 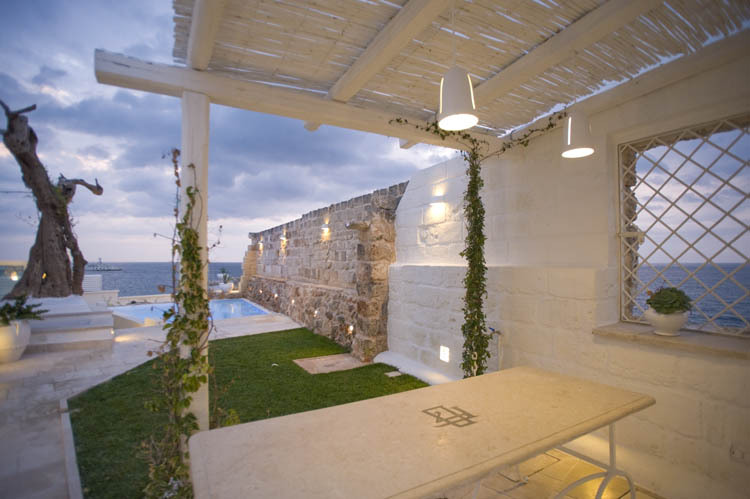 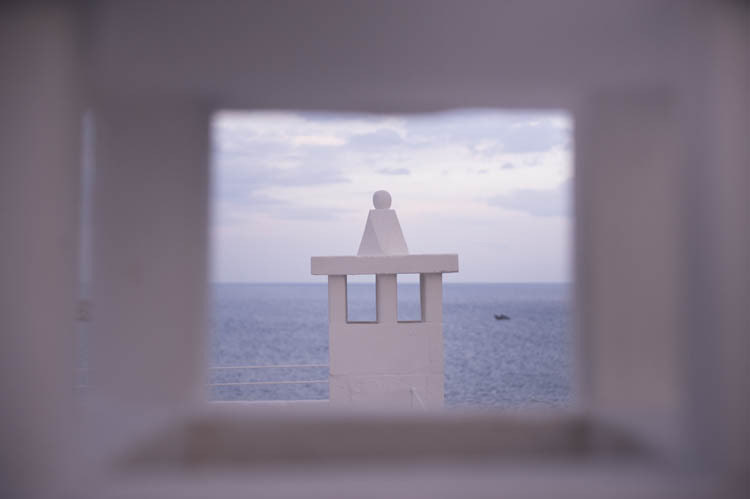 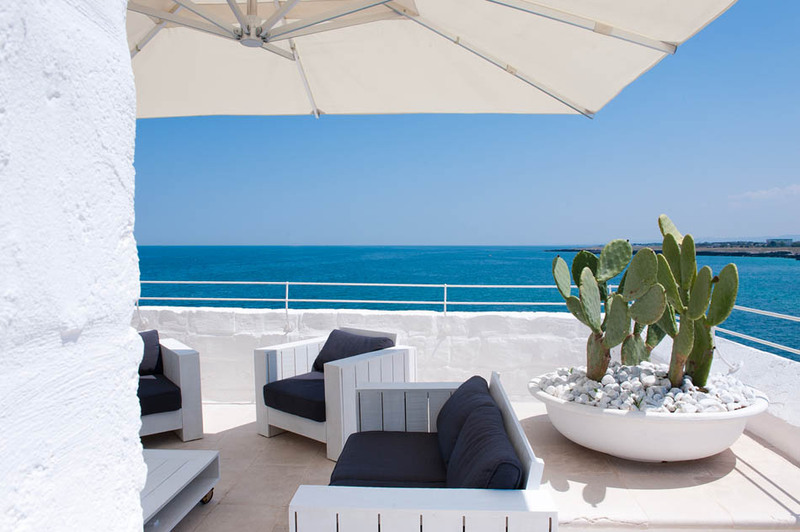 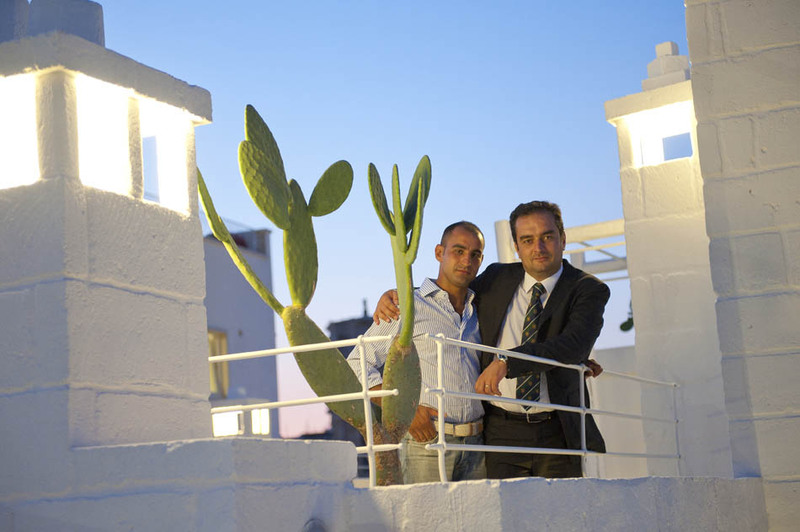 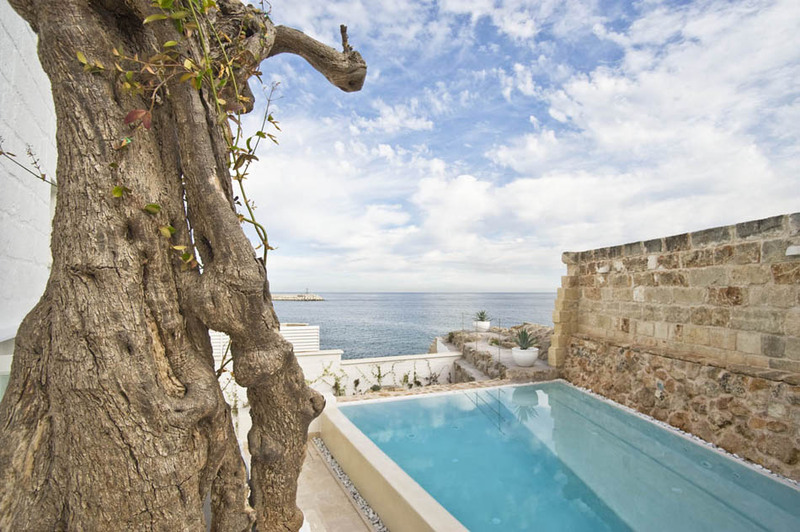 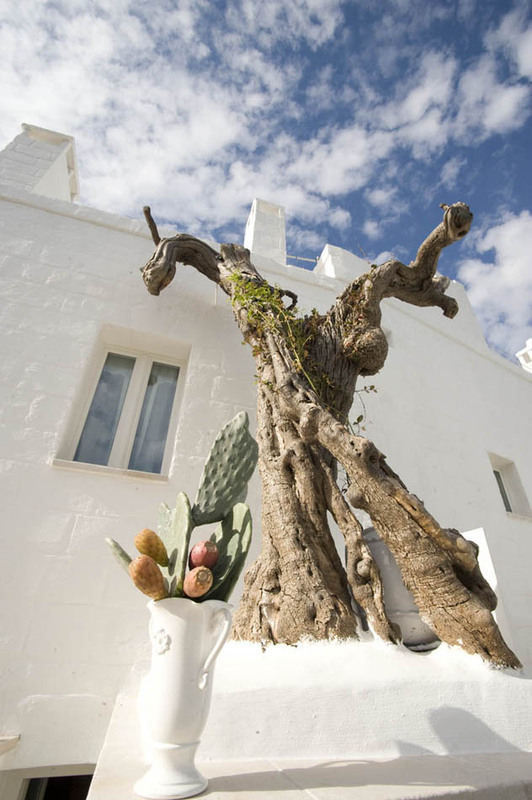 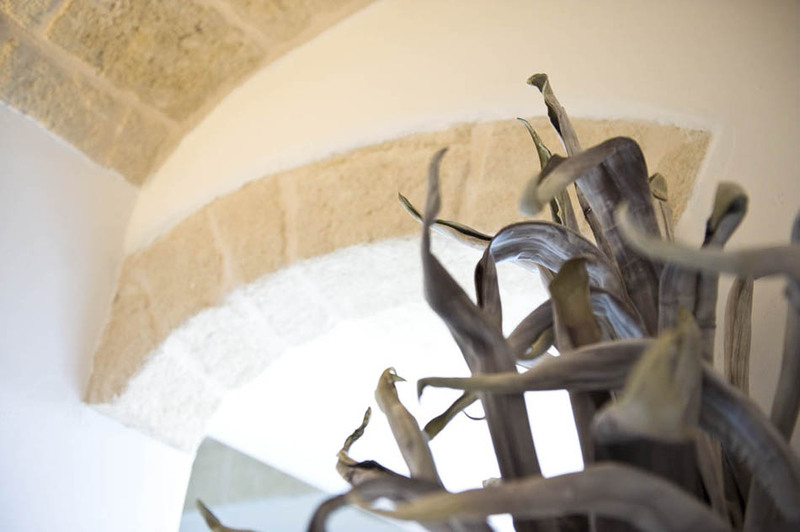 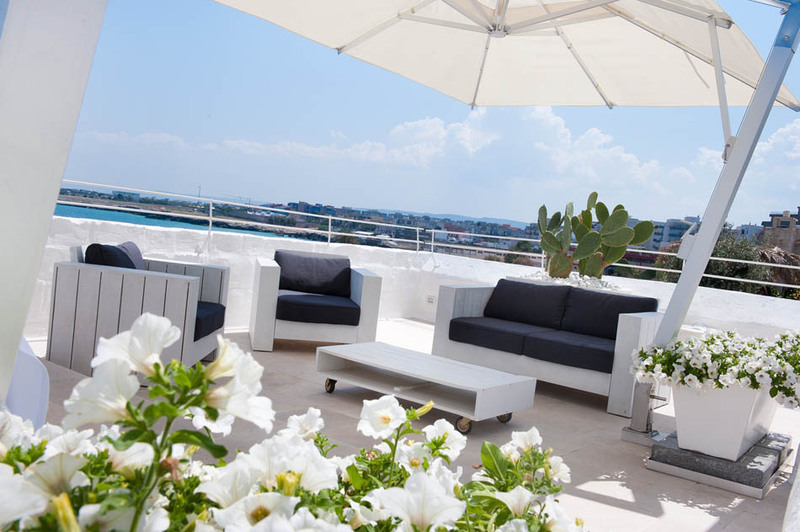 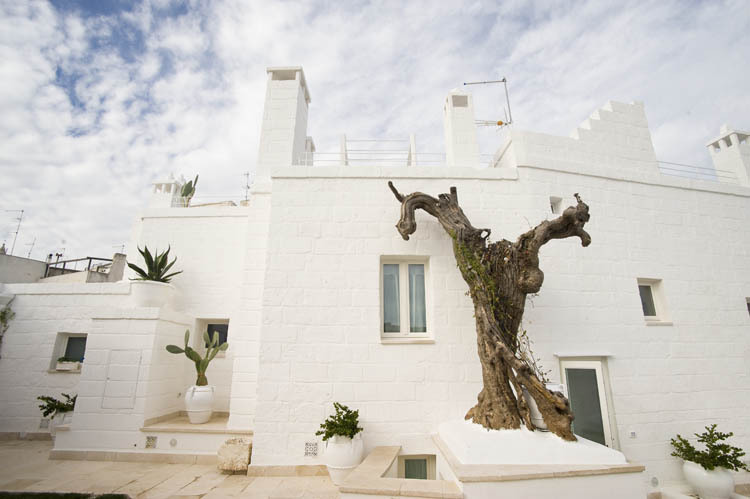 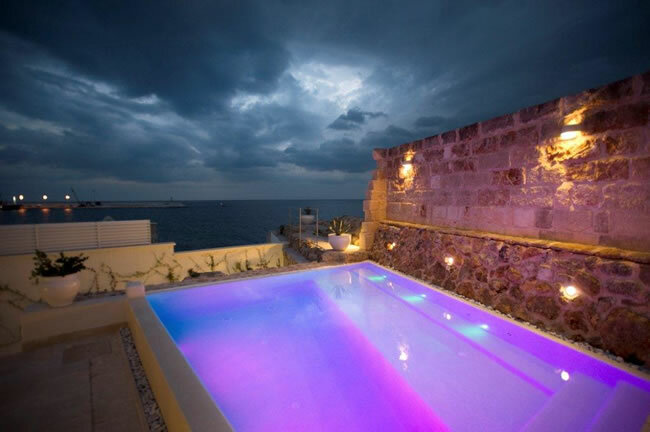 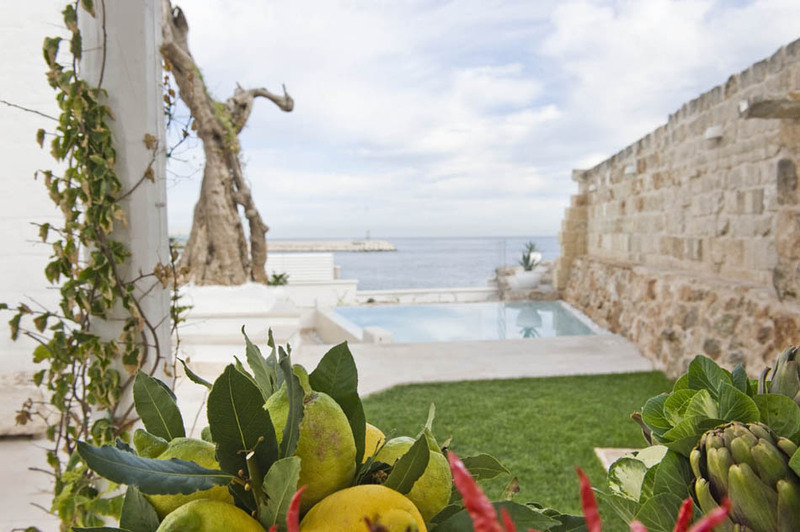 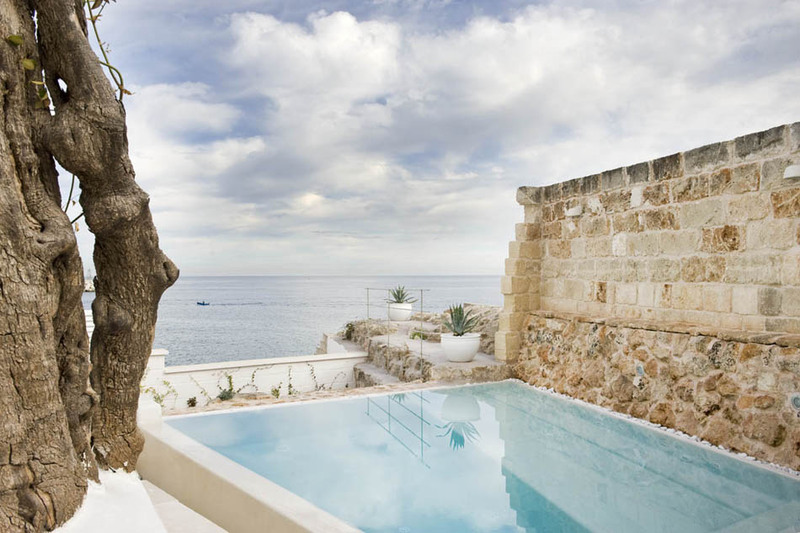 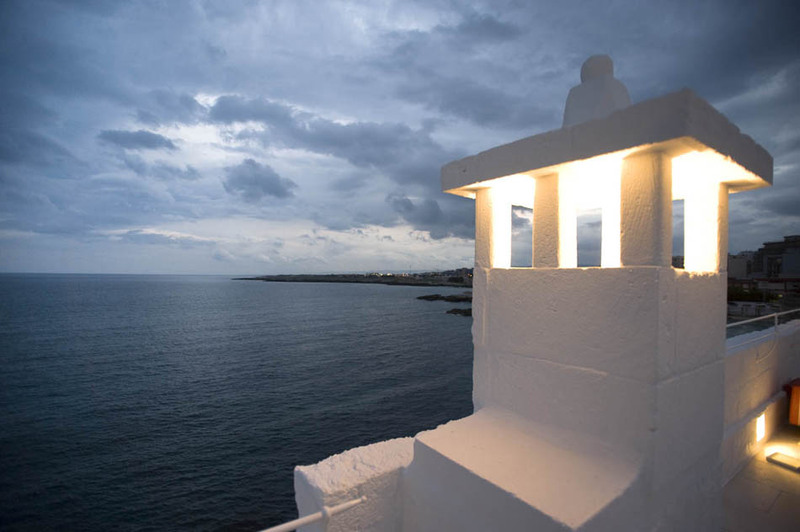 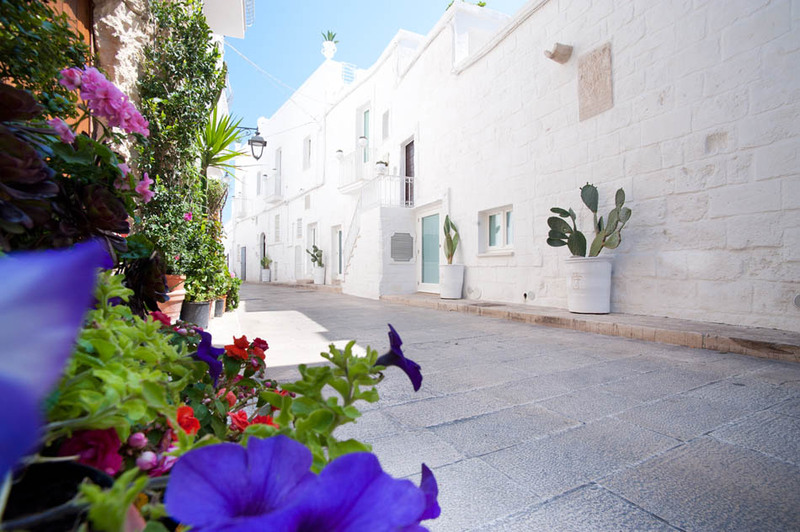 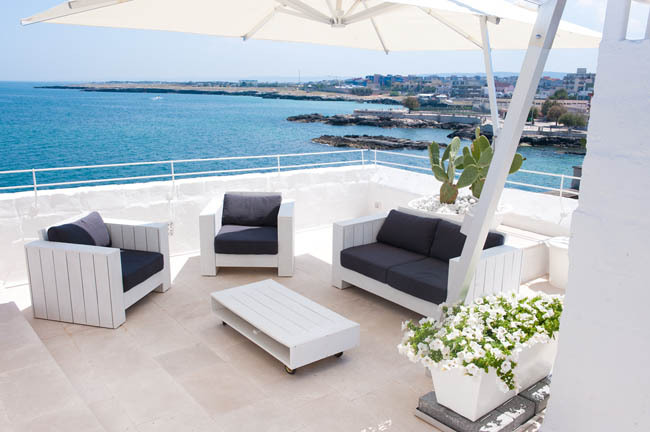 Don Ferrante is a charming house in Monopoli, the “only city”. 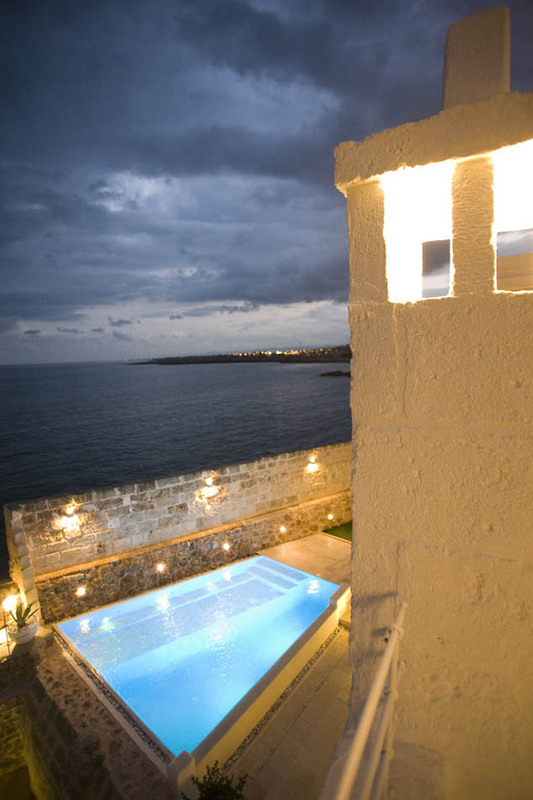 An ancient fortress on the reef, close to the sea, in an enchanting atmosphere. 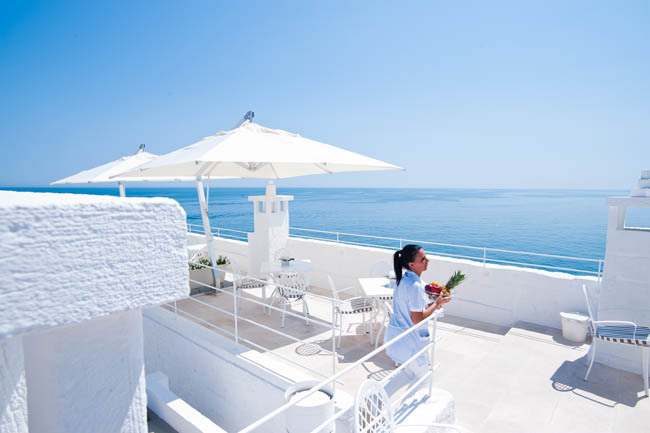 Since the wake up, the sea breeze will cuddle and give you a pleasant comfort that will follow you for the whole day. 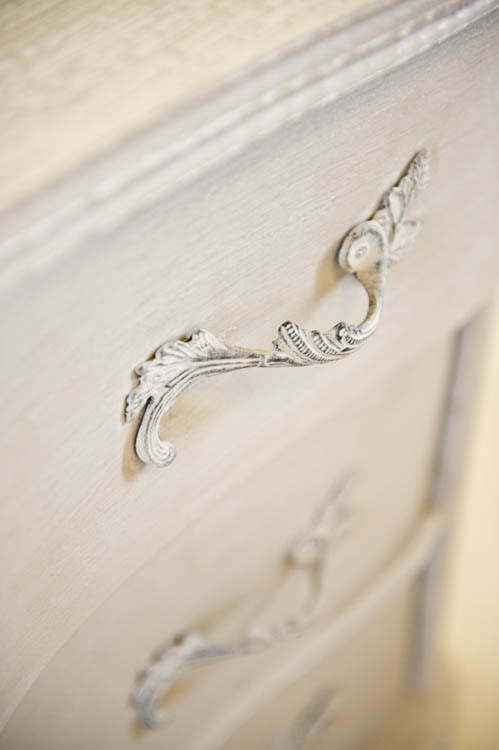 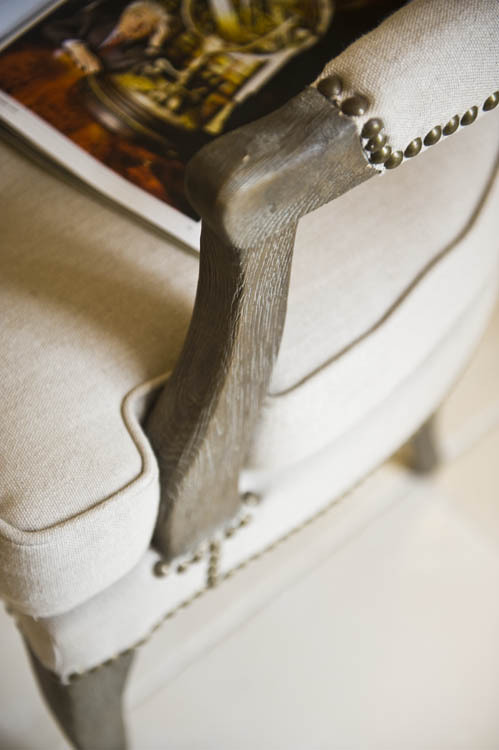 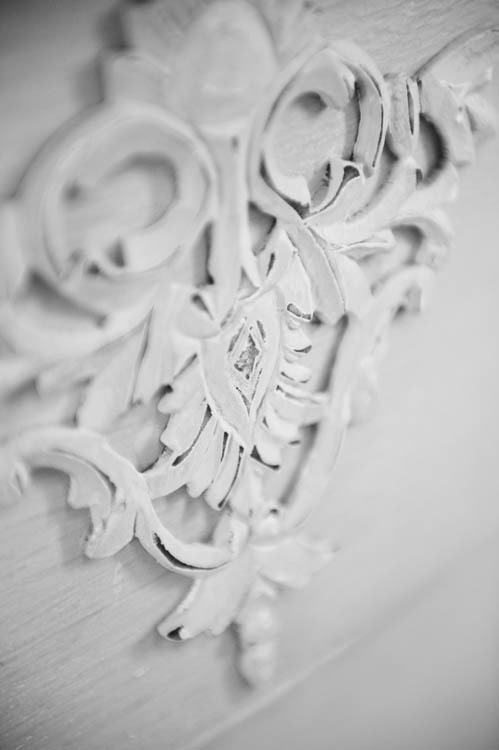 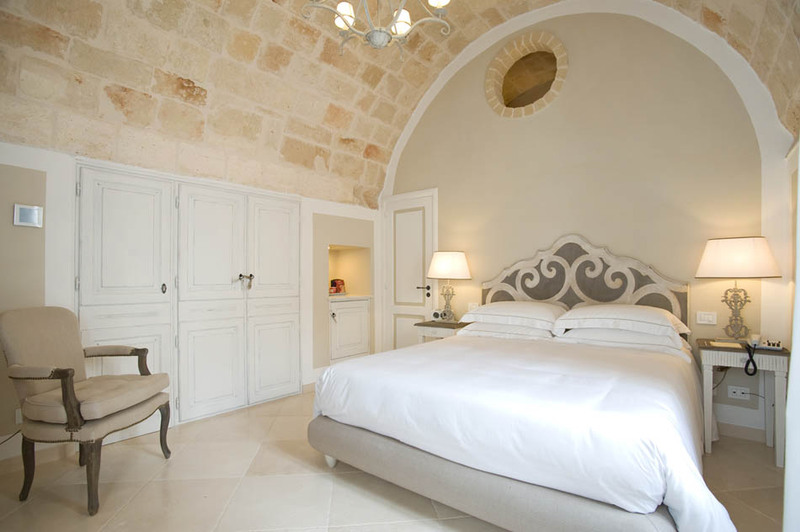 Rooms and suite with elegant furniture have exclusive and personal services. 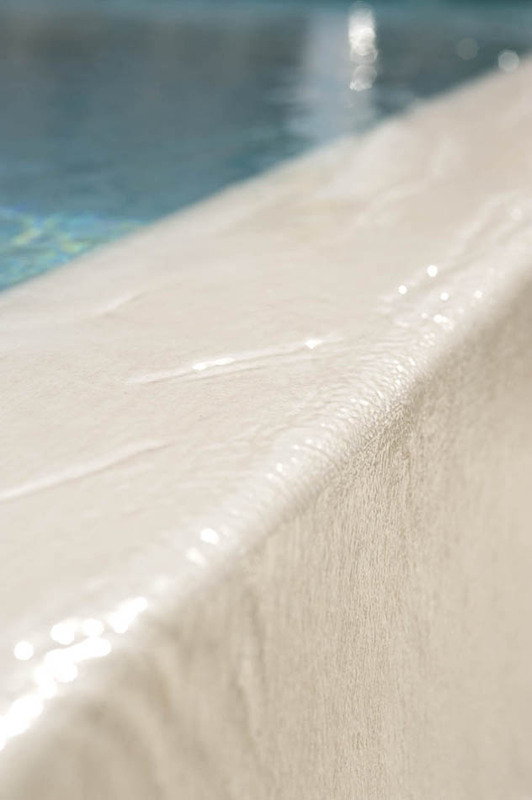 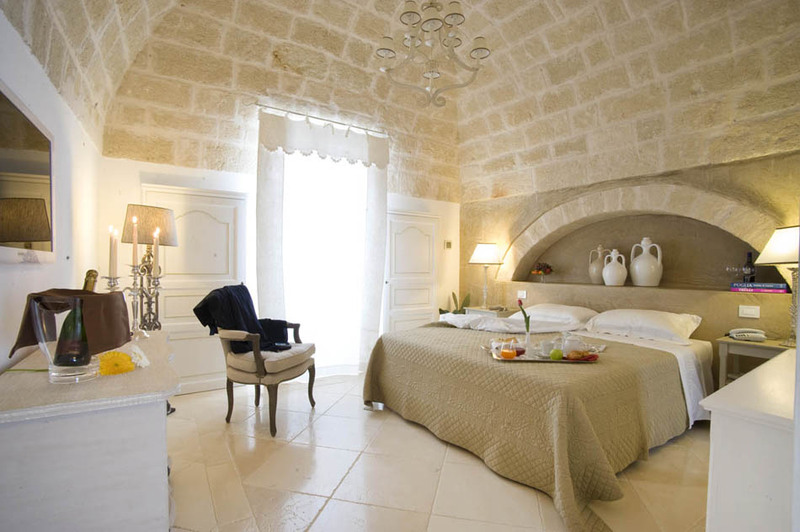 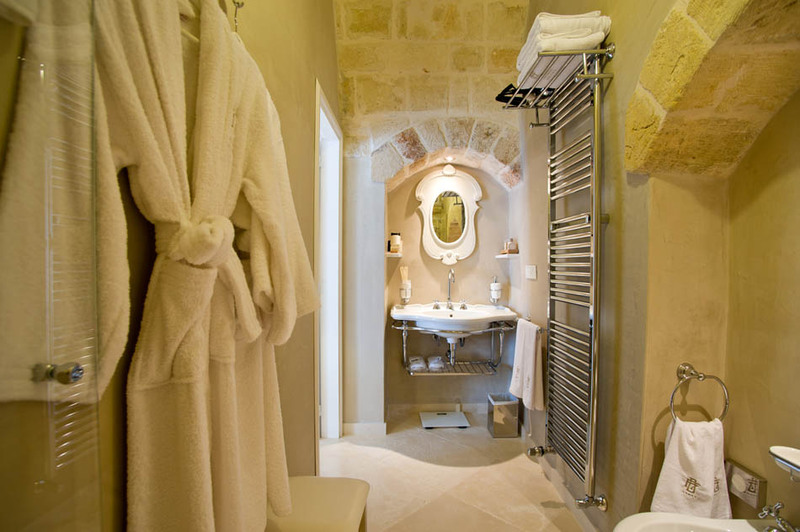 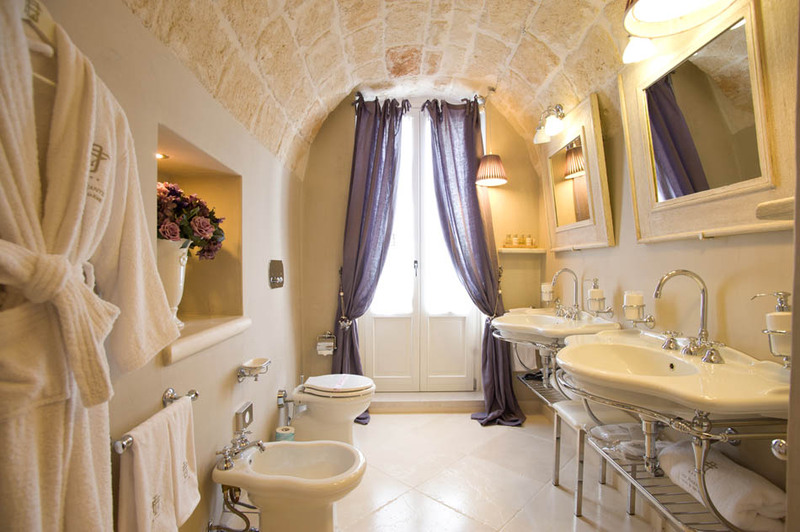 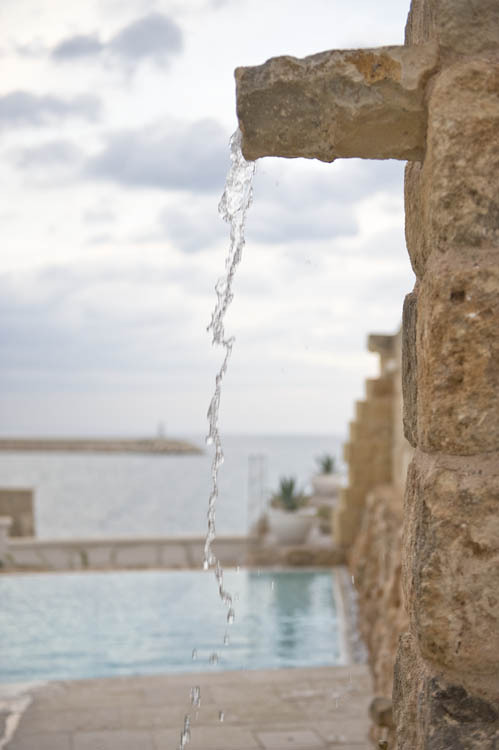 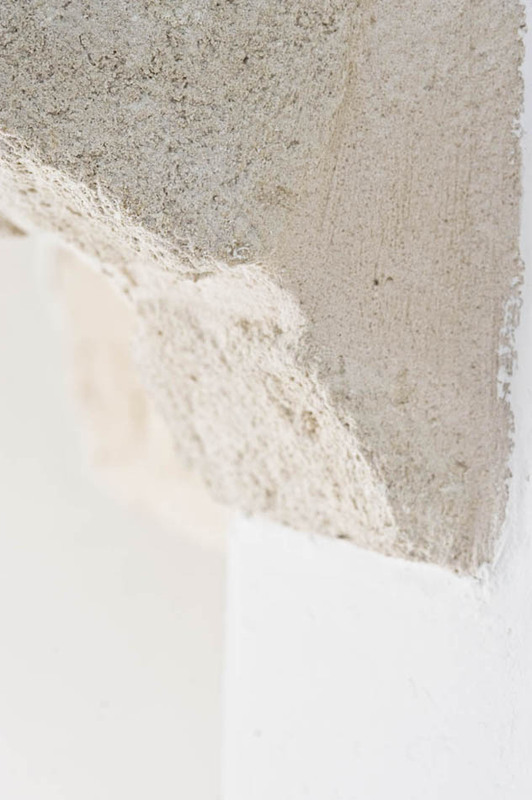 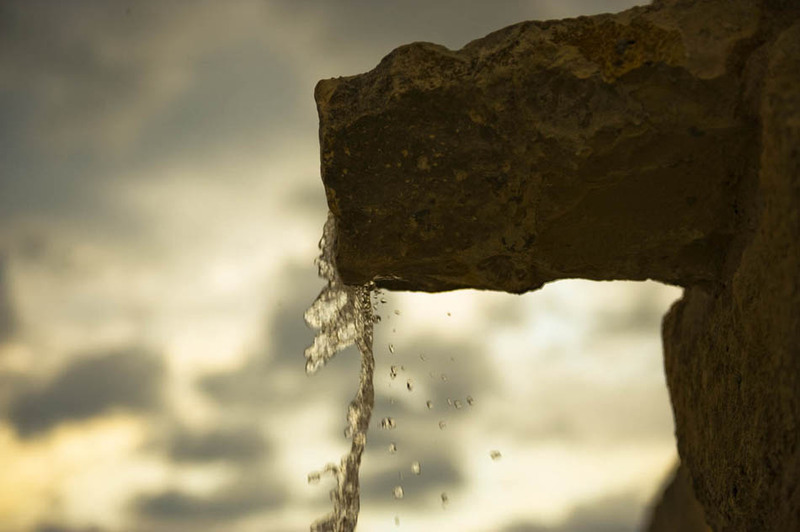 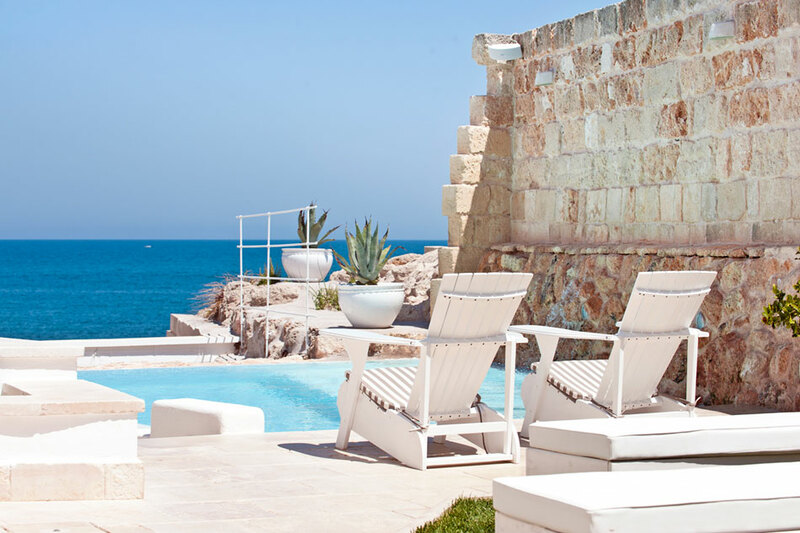 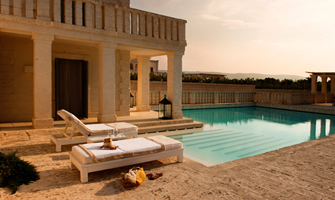 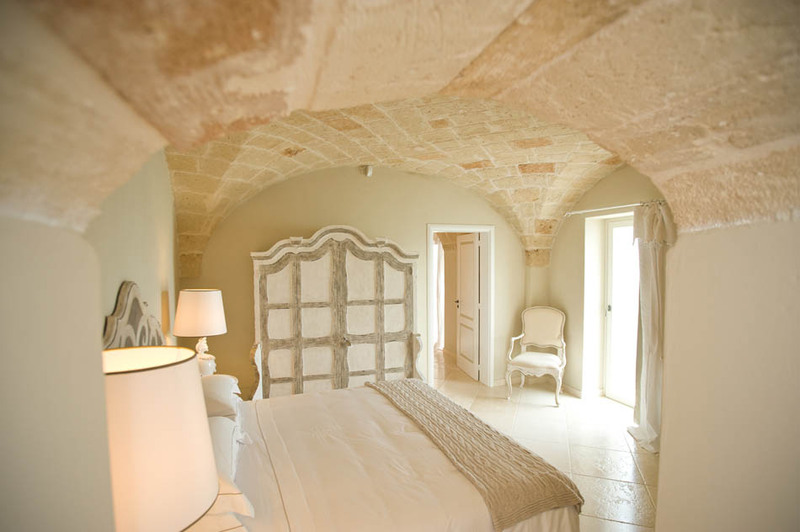 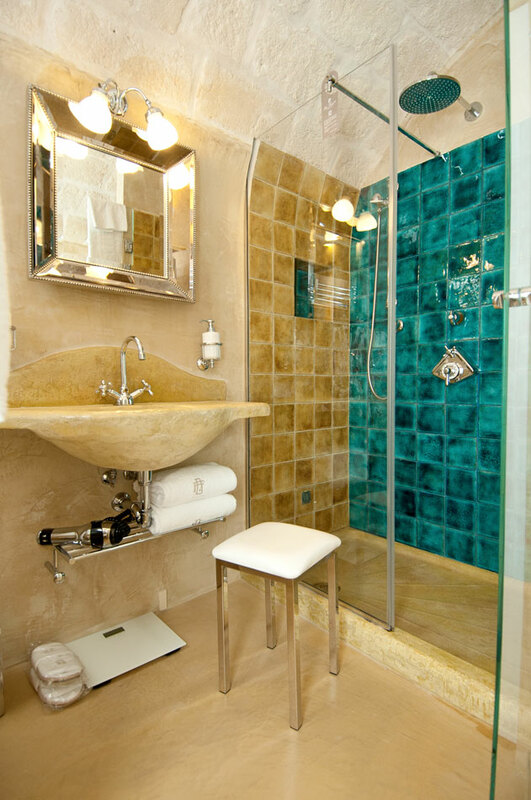 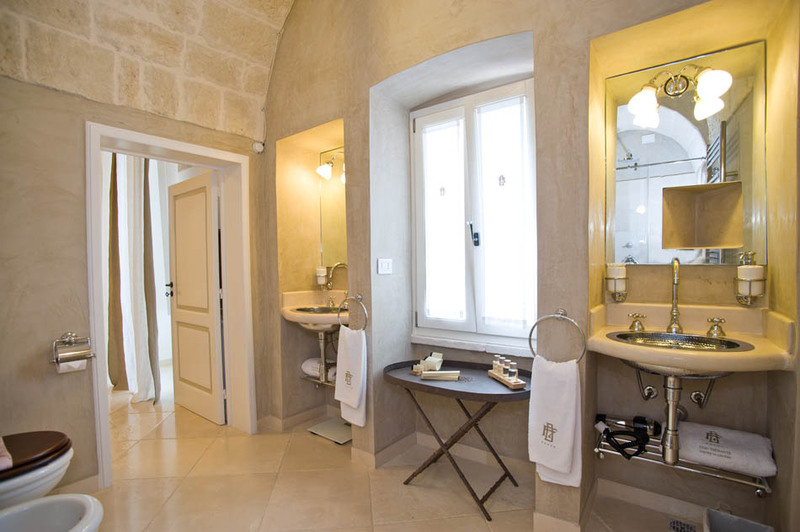 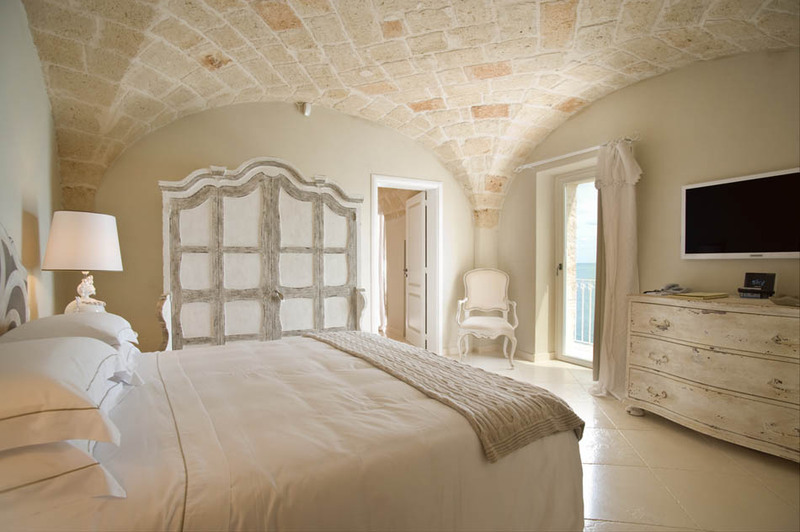 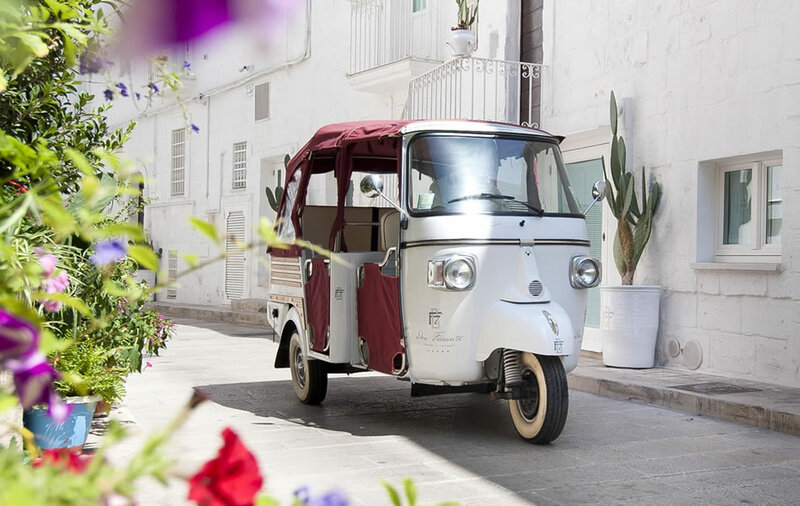 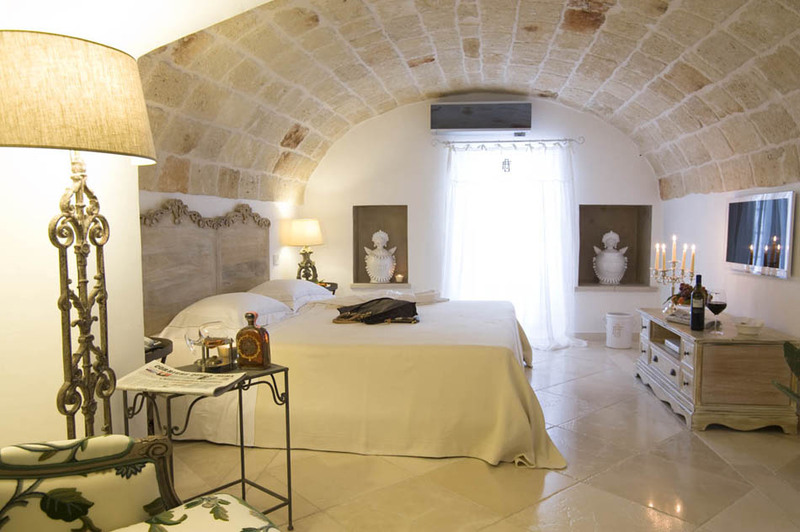 Fully restored respecting the original design, each room boasts travertine vaults typical of the Mediterranean style. 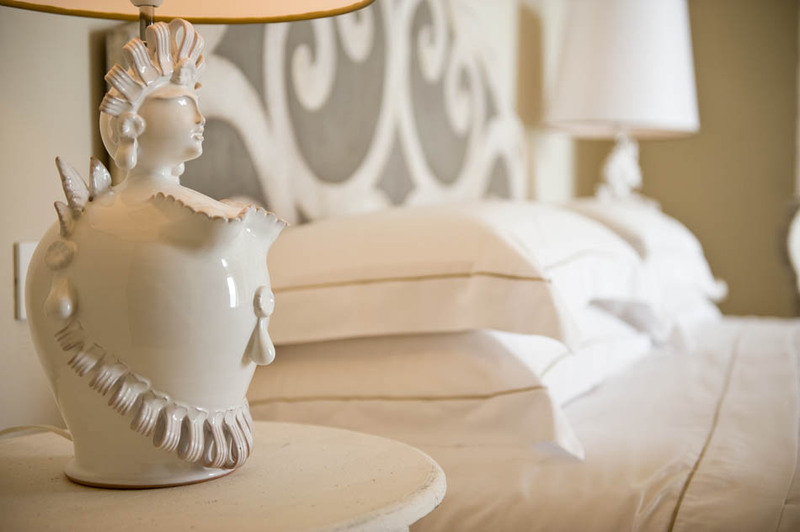 Our rooms welcome the guests in a setting of absolute comfort and elegance, furnished with special care and attention to details and completed by glazed white handmade ceramics. 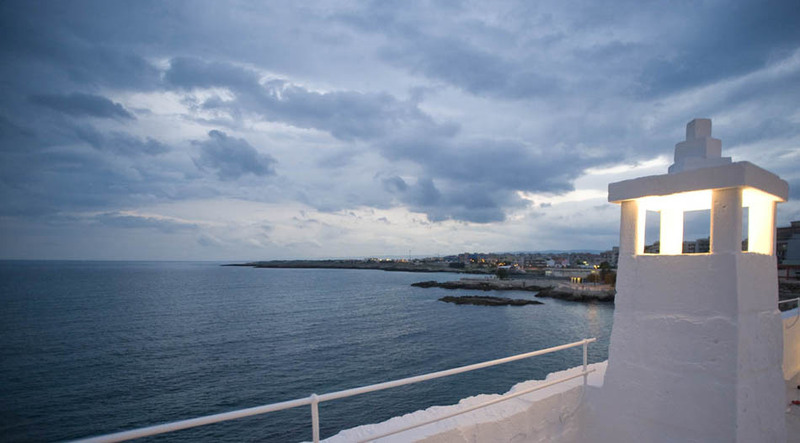 From sunrise to sunset, a breathtaking sea-view will make special every moment spent in our exclusive and unique Suite Don Ferrante. 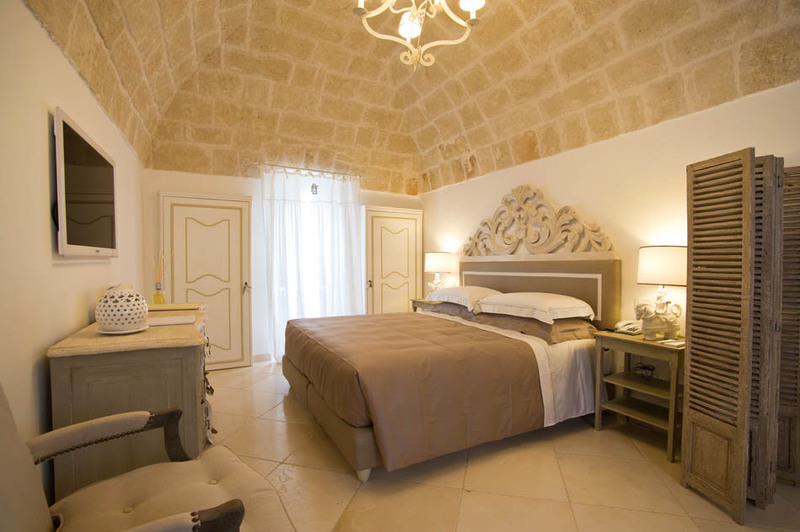 Travertine vaults, exclusive elegant furniture, king-size bed, living room with sofa and electronic fireplace, long balcony facing the Mediterranean Sea. 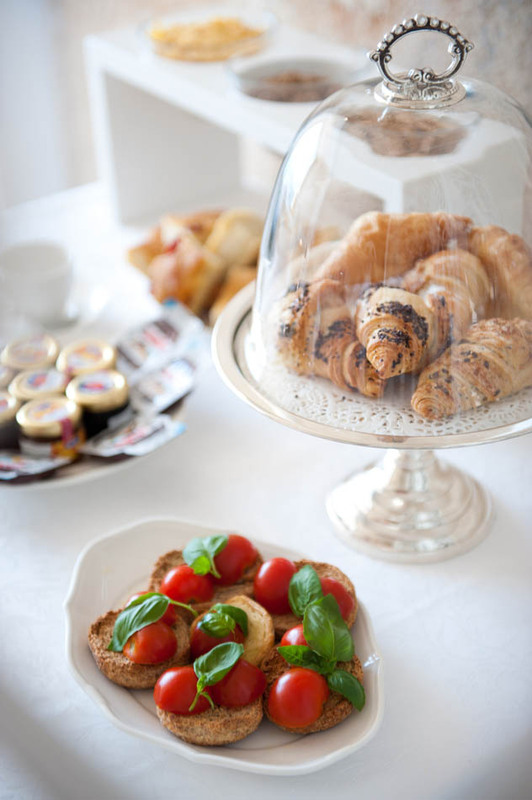 Room service breakfast on request. 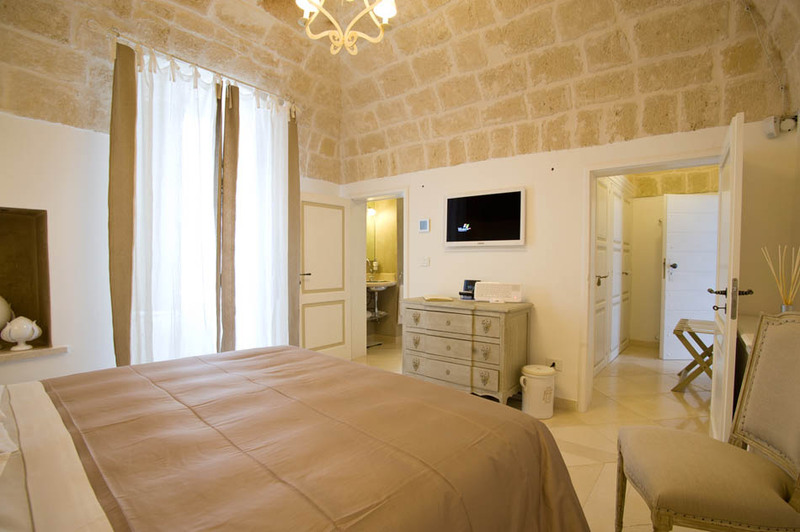 All our rooms are spacious and comfortable with all modern conveniences, including individually controlled air conditioning and heating, Led TV with satellite channels, minibar, laptop size safe, free Wi-Fi Internet access, telephone, 32-cm Pillow Top King-size Mattress, en-suite facilities with king shower. 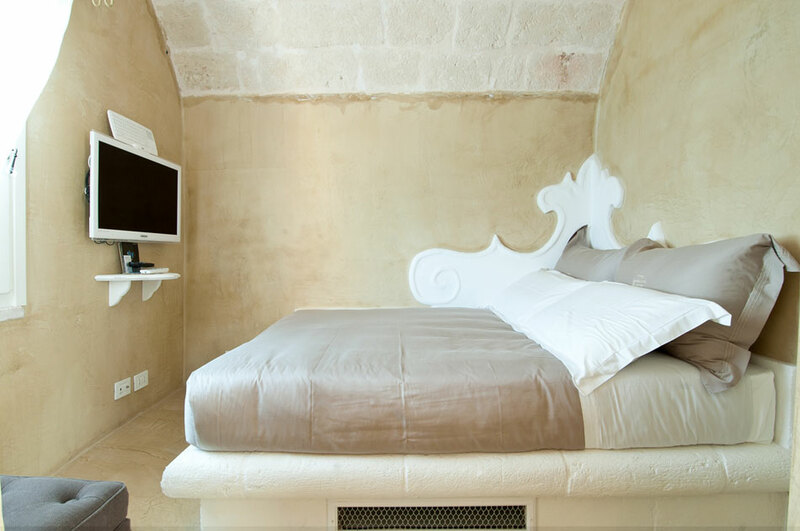 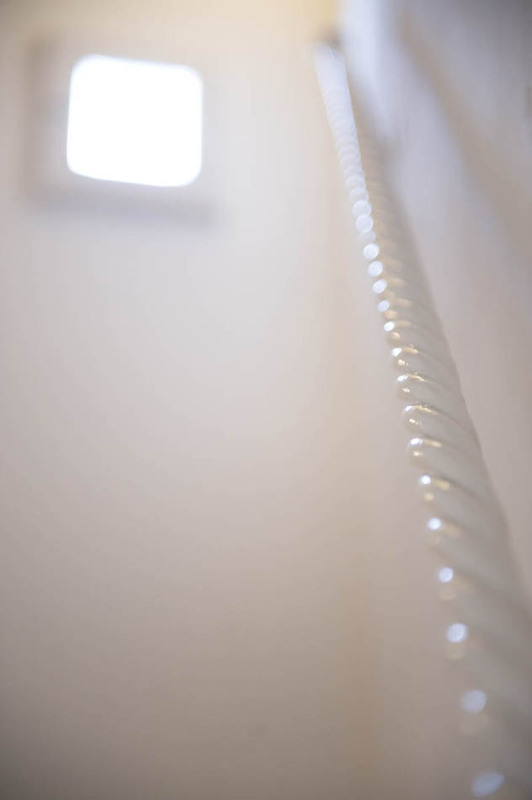 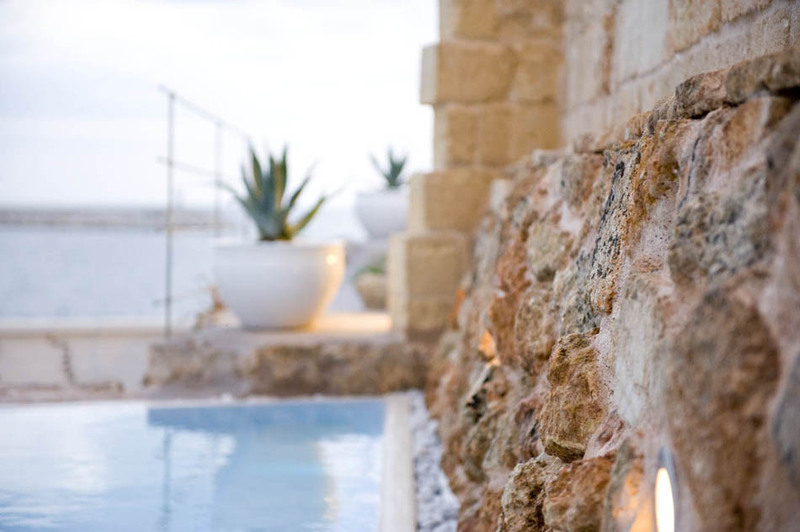 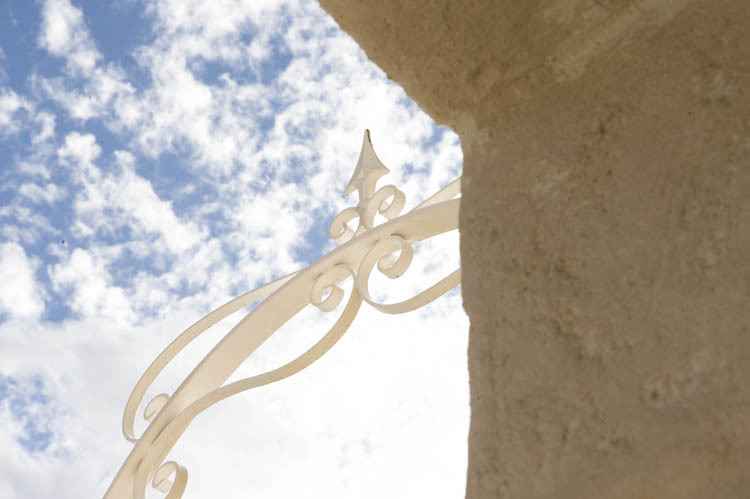 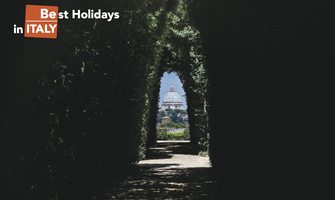 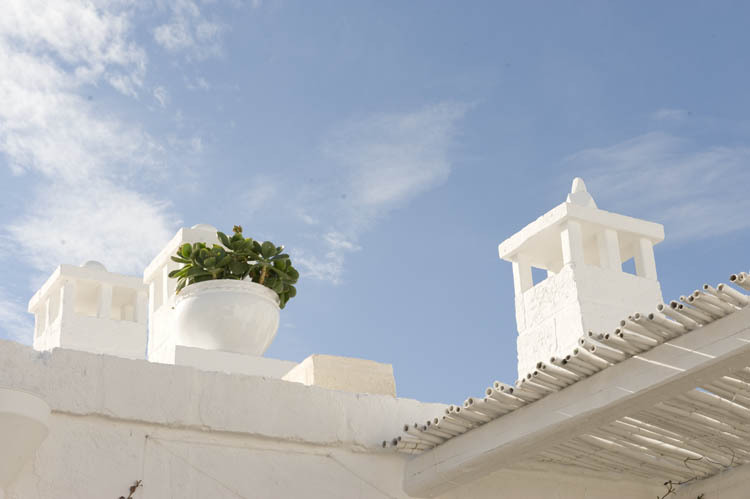 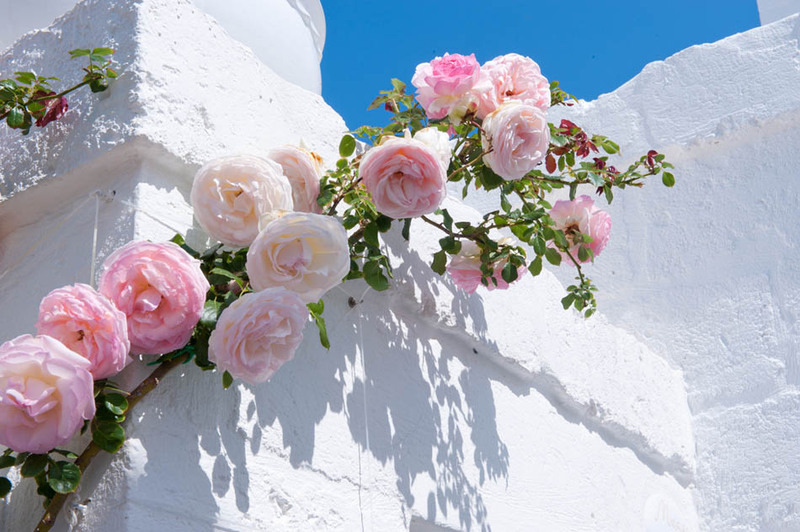 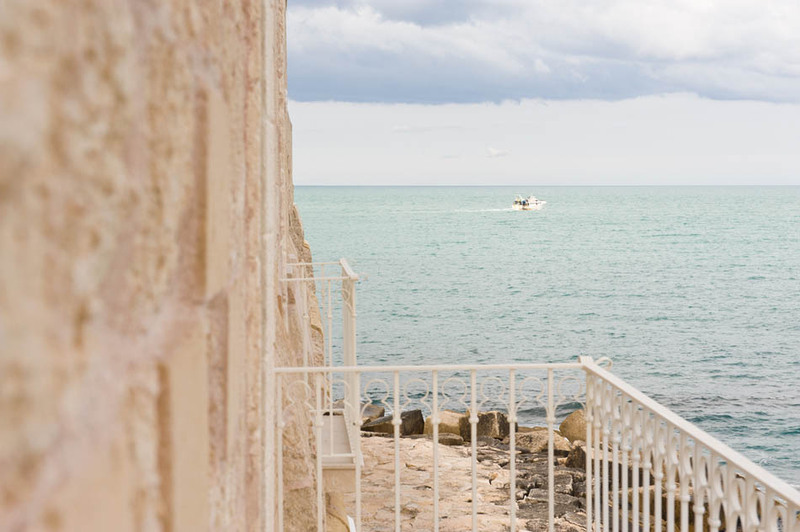 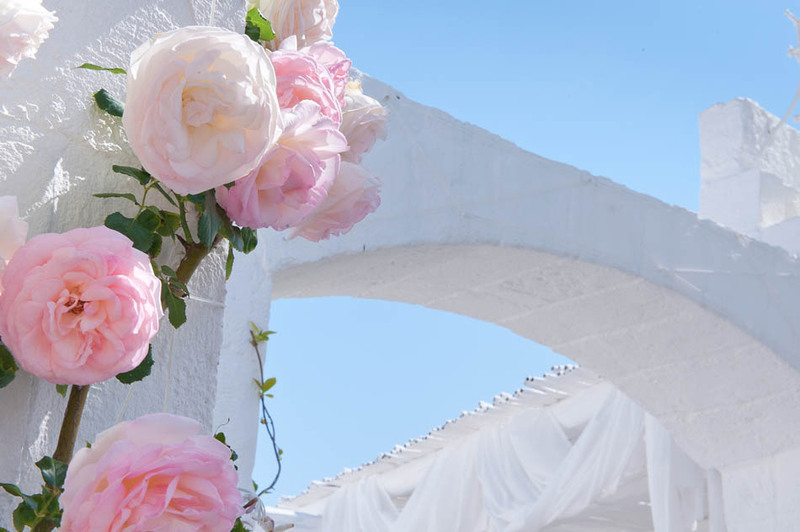 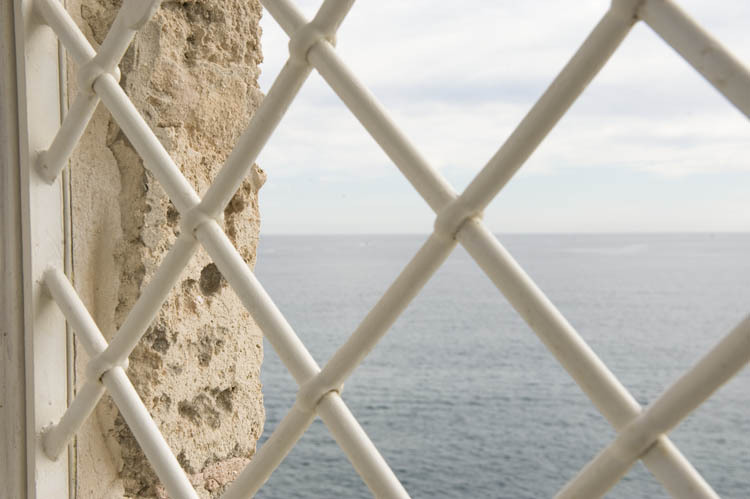 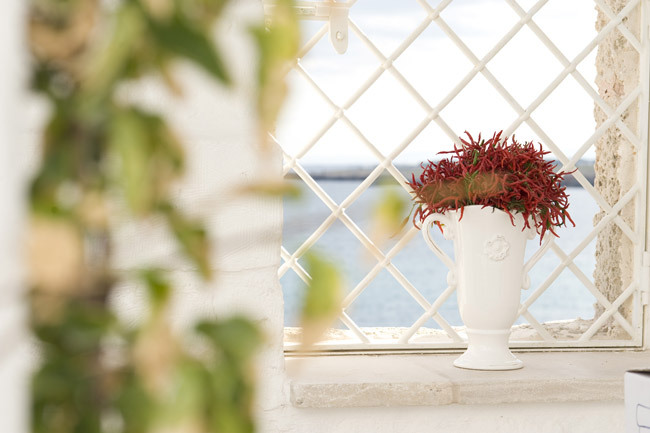 Our rooms feature a Juliet balcony or a window overlooking either the sea or the typical narrow alleys of the old town. 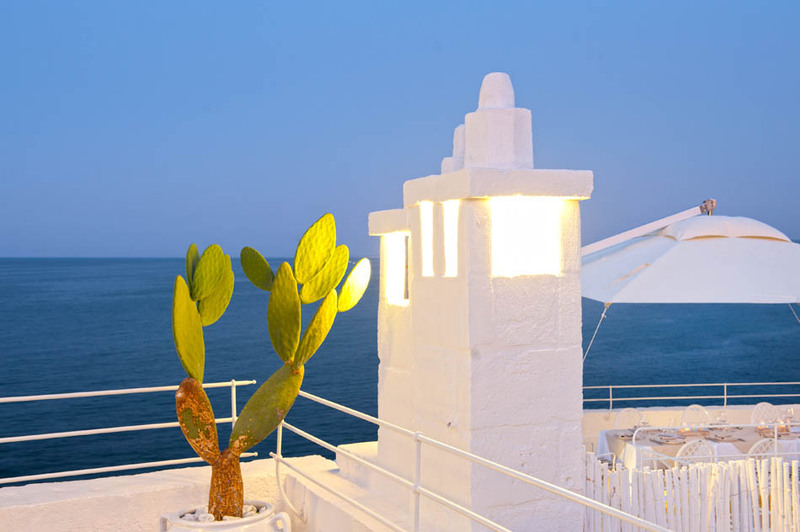 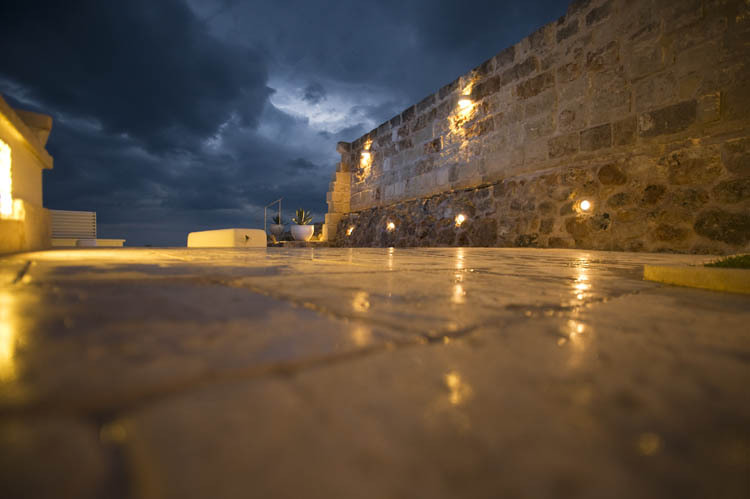 "Locanda Don Ferrante" Restaurant, built in a 16th century old gunpowder cellar, is located between the blue of the sea and the white washed houses among Monopoli old town alleys. 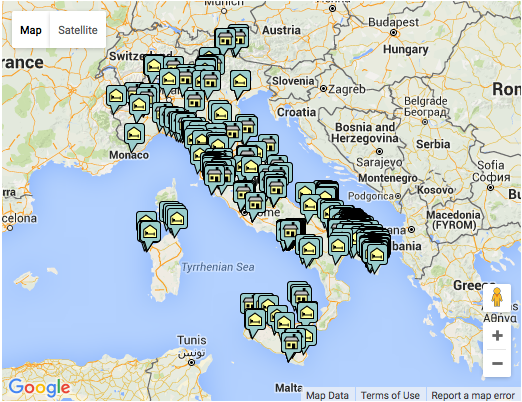 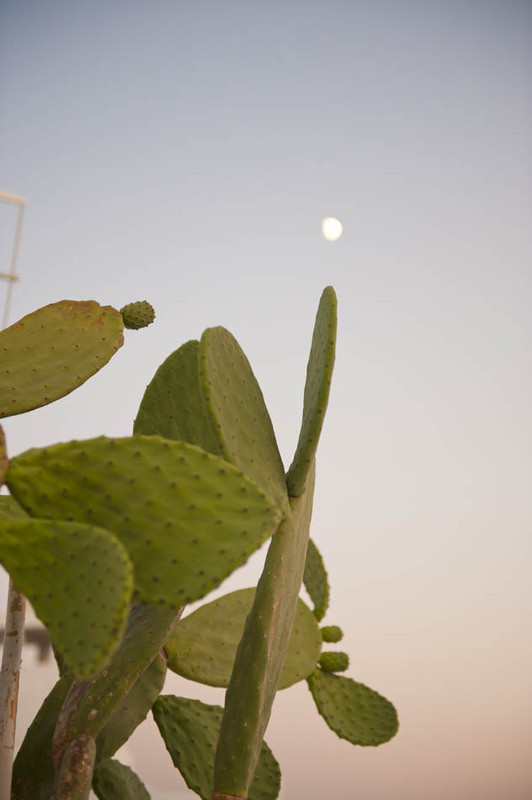 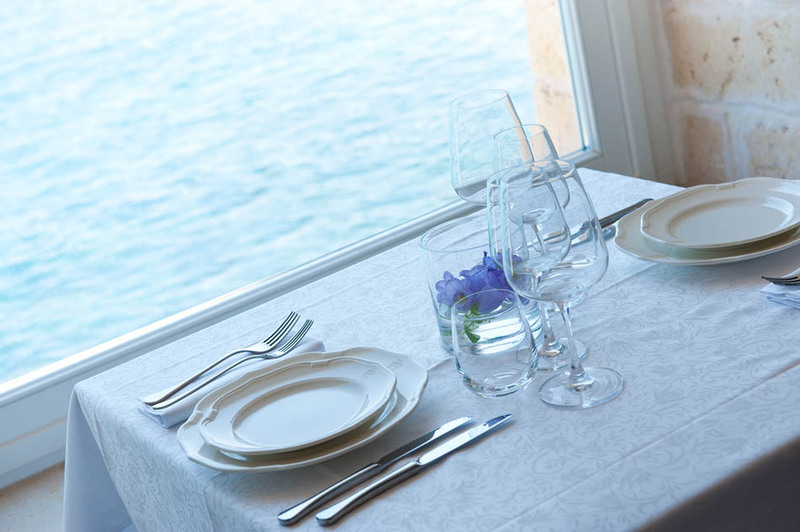 The restaurant will conquer you with its regional recipes and the typical flavors of Puglia and a large choice of wines. 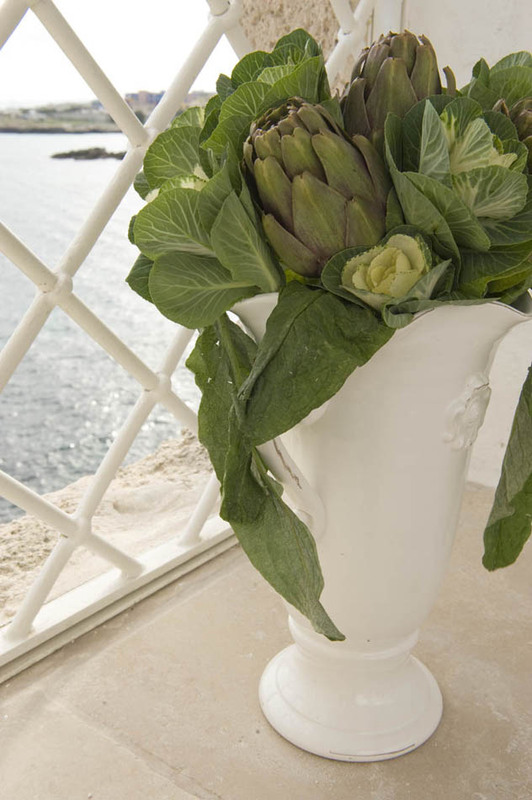 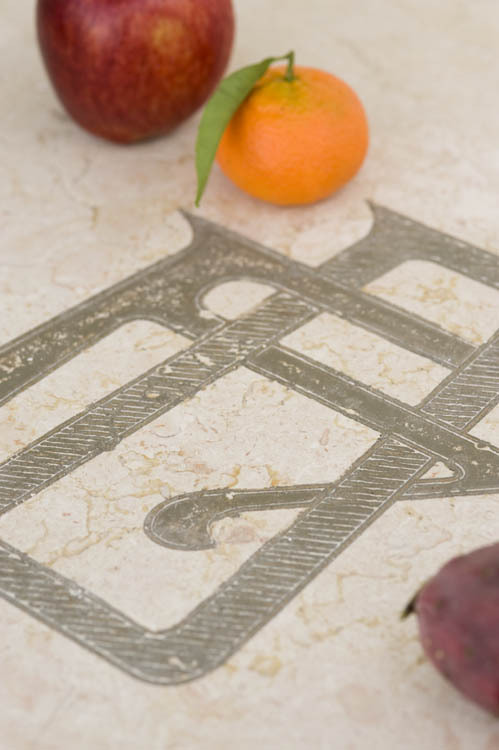 Mediterranean tastes and fragrances will seduce even the most exigent palate. 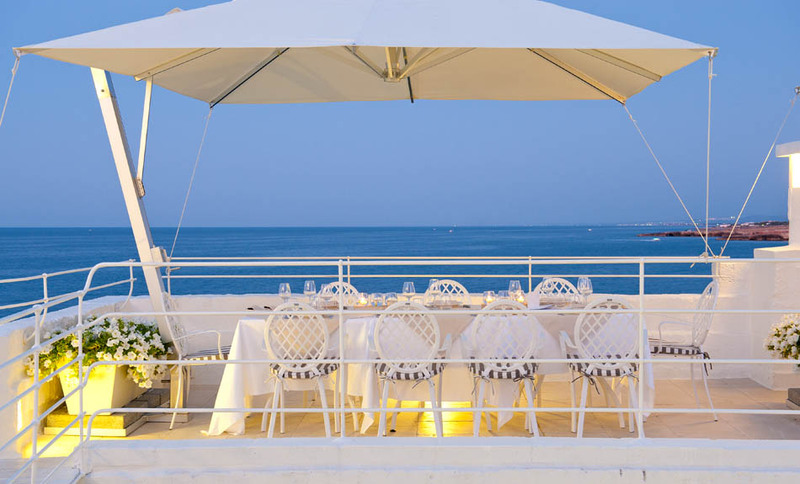 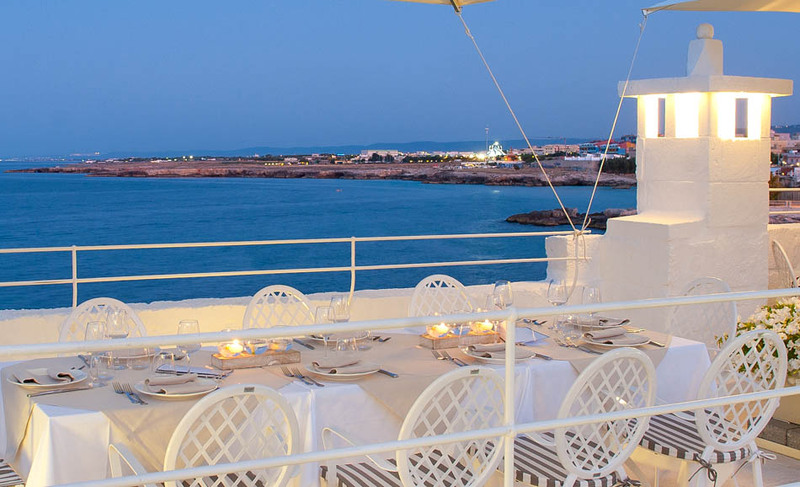 During the summer months, the dinner is served al fresco on our panoramic "Terrace Don Ferrante", perched over the sea in a privileged location. 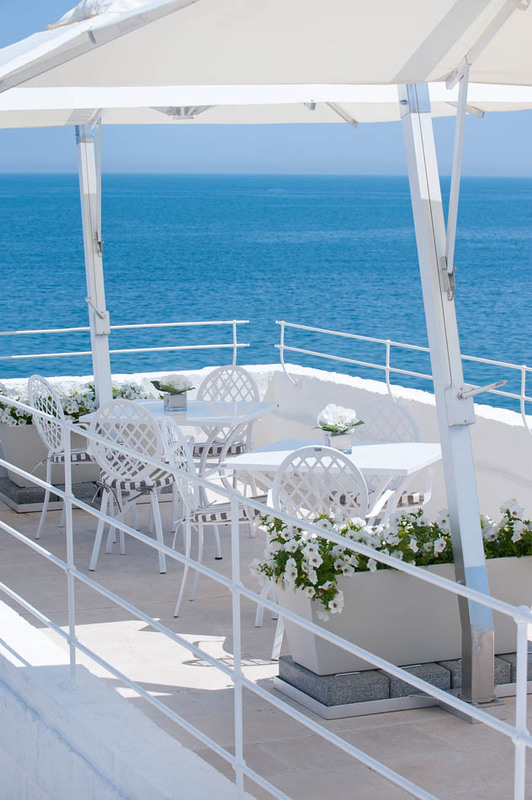 Our Lounge Bar, in a chilled out atmosphere, is the perfect place to relax and enjoy a cool drink or refreshing cocktail.